A fellow Copenhagener, known as Uncle Allan, recently returned to Copenhagen from Japan. He had promised to take some shots for Cycle Chic whilst in the Land of the Rising Sun and he certainly didn't disappoint. 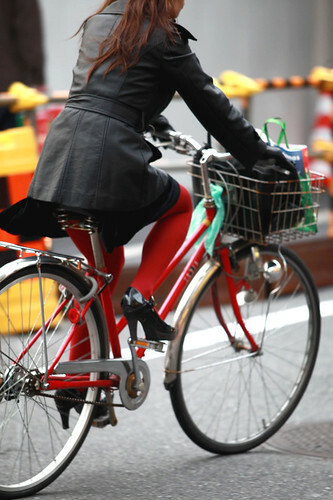 After all, Tokyo is at #2 on the Cycle Chic Cities list, so we knew we were in for a treat. 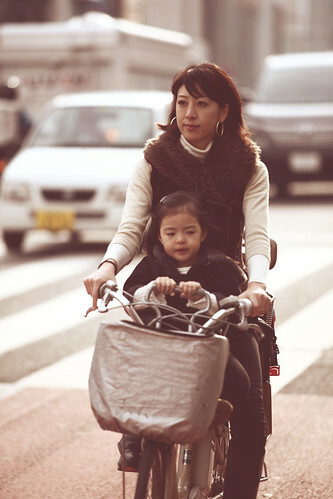 Much is said and written about Copenhagen/Amsterdam & Denmark/Netherlands from a bicycle culture perspective but Japan is the third great bicycle nation in the industrialised world. Add to that a high fashion bar and you're ready for Cycle Chic. That first one is killer.